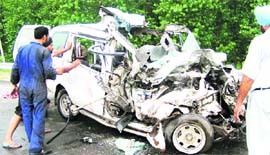 A man, his two sons and two others were killed in an accident near Rangilpur village on the Kharar-Kiratpur Sahib stretch of the National Highway 21 this morning. Cricket academies or shops to mint money? Raking in moolah on the cricket craze, cricket academies have mushroomed in the tricity. Surprisingly, many of these ‘shops’, which are over 30 in number, are being run by people who have nothing to do with the game. The office of Assistant Director (Malaria) needs to take care of itself before giving sermons to residents of Chandigarh to observe cleanliness in their surroundings. The office is itself a breeding ground for mosquitoes, flies and other germ carriers. In this gateway to Punjab, urbanisation precedes infrastructure. While the Punjab government has been ‘selling’ Mohali by announcing a succession of housing projects, it has been found wanting in putting basic infrastructure in place. Hundreds of illegal ice-cream carts dotting roundabouts of the city at night continue to pose a serious threat to traffic. Drug addicts of Dadu Majra area, where the body of 22-year-old Neha Ahlawat, was found around 11.55 pm on Friday, are under the scanner of the police for their suspected involvement in the murder. 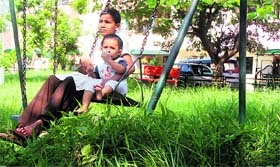 The tragic death of the newborn while her mother ‘Bulbul’ was caught in the rigmarole of getting a bed at the hands of the callous hospital staff at Government Multi-Specialty Hospital, Sector 16, recently, is a telling comment on a crippled healthcare system as a whole. The blame game in “nailing” the guilty has already commenced. Ram Niwas, the Home Secretary, has rubbished the initial inquiry reports holding a maid responsible in not guiding the patient. About a month and-a-half after its constitution by the Chandigarh administration, the Police Complaints Authority(PCA) is yet to start functioning, virtually dening any grievance redressal system against police high-handedness to the general public. The city and its nearby areas in Punjab and Haryana received moderate to heavy rain this morning and the negligible rise of 0.1 degrees Celsius in the day temperature brought relief to city residents for the second consecutive day. Come student council elections at Panjab University and defacement of walls and university property is most visible. In a recent meeting held between the representatives of student organisations and PU officials, the former were directed to remove their posters within a day. 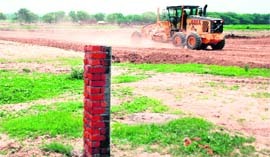 If the allegations in a writ petition are to be believed, influential people have trespassed on large chunks of government land reserved for a panchayat ghar, a veterinary hospital and even a cremation ground. The UT Sarv Shiksha Abhiyaan unit has launched a unique programme to make rural girls proficient in English speaking. High drama was witnessed in Sector 23 today, as residents prevented dump trucks of the municipal corporation from dumping garbage in their area. A married woman belonging to Phase 1 today accused her husband of abandoning her and their eight-month-old daughter and secretly flying away to Australia. Claiming to be the first in the country, Government Medical College and Hospital (GMCH), Sector 32, here has treated a patient suffering from osteosarcoma, a common bone cancer, in her left hemipelvis. 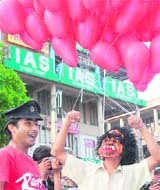 Panjab University is all set to approach the UT police to send dates for students’ election on campus. According to the Lyndoh committee’s report, four to six weeks’ notice is required for the authorities to declare elections. Filing of nominations for the Panjab University Teacher’s Association (PUTA) election is over. One of the lobbies headed by Akshaya Kumar of the department of English and cultural studies and Mohammed Khalid have released the poll agenda. When imported fruits like apple, pear and apricot arrived in the local markets, these were marked with special stickers and it was presumed that these fruits were of high quality since these were also costlier. Saroj Pandey, in charge of the city affairs of the BJP, addressing the first executive meeting of the party today, urged workers to work unitedly for the victory of the party in the forthcoming MC elections. The PGI Campus Residents Welfare Society, Sector 12, organised a tree plantation programme at the PGI here today. The plantation drive was inaugurated by Prof KK Talwar, director, PGIMER. Campus residents planted 700 saplings. Ornamental and herbal trees like gulmohar, kachnar, bahera, neem, amla, jamun, koelreuteria, harar, imli, karipatta, tun and bael were planted. The Federation of Sector Welfare Associations (FOSWAC) today demanded the launch of centralised public grievance and monitoring system “e-samadhan” to provide multi-utility services under one roof. Residents of Narrow Gauge Railway Colony and Bharat Nagar have urged the railway authorities to install a height gauge on the Bharat Nagar-Shiv Mandir link road, which connects the town to the Charnia road at Bharat Nagar T-point. A truck hit an electricity pylon at Paploha village, near Kalka, snapping power supply to Kalka and its adjoining areas for over four hours today. The Punjab and Haryana High Court have fixed October 27 for the next hearing in the PIL of village residents of 154 villages regarding extension of Lal Dora. Inadequate accommodation in the girls hostel of Kalpana Chawla Women Polytechnic, Ambala City, has left students worried. Union minister for tourism and urban poverty alleviation Kumari Selja today inaugurated public toilets constructed at a cost of Rs 64 lakh in the town. A survey conducted by the department of public health dentistry, MM University, Mullana, at old age homes has found that around 47.4 per cent of the total patients over 60 years of age do not have functional teeth. To spread health awareness among people, Sri Sukhmani Multi-Specialty Hospital here in association with Sri Sukhmani Free Dental College and Hospital is providing medical facilities free of cost to residents of nearby villages. An electricity department employee was thrashed by a couple residing in Sector 35. The victim has been identified as Surender Singh. Sachleen Singh scored highest points in the final round of boys U-15 category of Chandigarh Boys and Girls Chess Championship held at St Xavier’s Senior Secondary School, Sector 44, here today. The Chandigarh Golf Club Academy will hold a golf camp for women from August 24 to September 24 on every Tuesdays and Fridays from 5 pm to 6 pm. 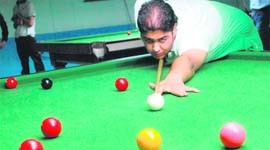 Third ranked Ankur Nanda defeated Vaibhav of Gurgaon in the 24th Haryana State Junior and Senior Billiards, Snooker Championship being held at Panchkula here today. City NCC cadet Meera Kumari will represent the country at the Junior World Shooting Championship at Munich in Germany this week. Sans stage, chiaroscuro effects, props or sets, the RG Samparan Theatre Group staged a short satirical play “Uth jag musafir bhor bhayi” in association with CITCO and CIPA at the Sukhna Lake today.